When Black Radio was released in early 2012, it made an immediate impact, upping the already respectable cool factor at Blue Note and delivering a surprisingly cohesive album for a hip-hop/R&B/jazz fusion project. I was surprised to see a follow-up album, Black Radio 2, so soon after the first. To be this prolific in such a short time, one wonders what Glasper and his collaborators left on the table. Were they rushed because of the pressures of a multi-album deal? Did the success of Black Radio force his hand to replicate his formula without the same attention to detail? None of these fears are founded. Black Radio 2, like its predecessor, delivers an impressive variety of jazz, hip-hop, and R&B. His collaborators are amazingly as diverse, notable, and suitable as with Black Radio. The sound ranges from the Quiet Storm opener, “Baby Tonight” to the devotional closer, “Jesus Children” to the rousing rally cry of “I Stand Alone” featuring Common and Patrick Stump. 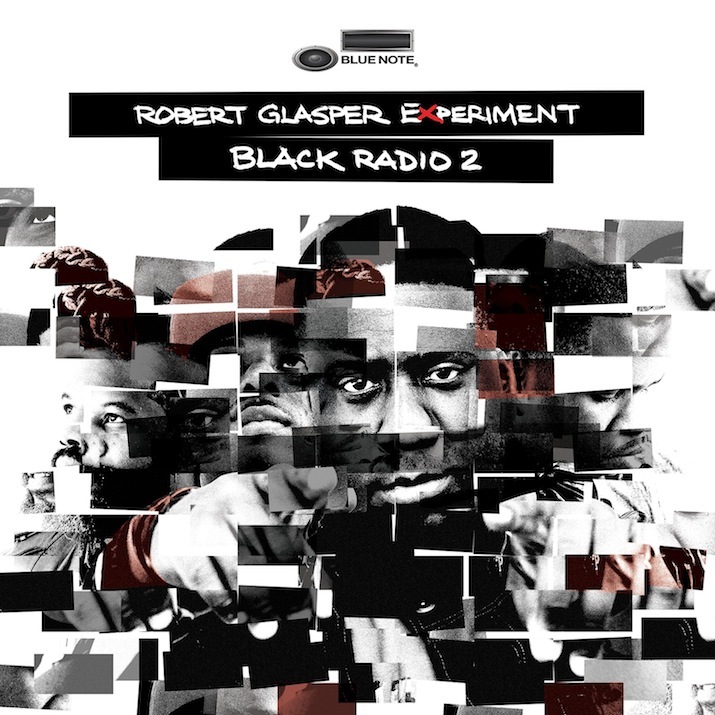 Overall, R&B emerges as the dominant genre while Glasper’s distinctive piano feathers nearly every track. Including this somewhat preachy missive reveals what may be Glasper’s inspiration for this album and its predecessor. Here is an accomplished jazz pianist who has stepped well outside the jazz genre. Black Radio 2 doesn’t really blur Jazz’ boundaries (like Herbie Hancock did) but may contribute to the expansion of what people perceive as jazz (like Guru did with his Jazzmatazz projects). Musically, this album delivers so much good R&B that a debate over genre is quickly rendered inconsequential. These collaborators surely emptied out the pantheon of contemporary female vocal greats: Jill Scott, Faith Evans, Brandy, Norah Jones, Marcia Ambrosius, and Lalah Hathaway. Male vocalists Anthony Hamilton and Dwele also make solid contributions. On the Hip Hop front, Common, Snoop Dogg, and Lupe Fiasco appear (Fiasco wins extra points for incorporating F1 driver, “Kimi Raikkonen” into a rap verse). The last time one man got this much talent to guest on his record, it was Quincy Jones. Perhaps Glasper has risen to Dyson’s challenge, not by innovating and expanding on jazz, but by using his current standing at the apex of “jazz’ coolness” to attract A-list collaborators and make great music on his terms.